Today, October 21, marks the birth date of Celia Cruz, one of the most famous and influential Cuban-American music performers and artists of the 20th century. Passionate about music, she earned 23 gold albums and the moniker La Reina de la Salsa. Admired and loved around the world, the Queen of Salsa was also known for her flamboyant style. She loved to dress up for her audience. She donned colorful wigs, wore sparkling gowns, danced in custom-made shoes that made her look as if she could fly, and always accessorized with a generous smile. Ruling the charts with her spirited charisma and her unforgettable yell of ¡Azúcar! (Sugar! 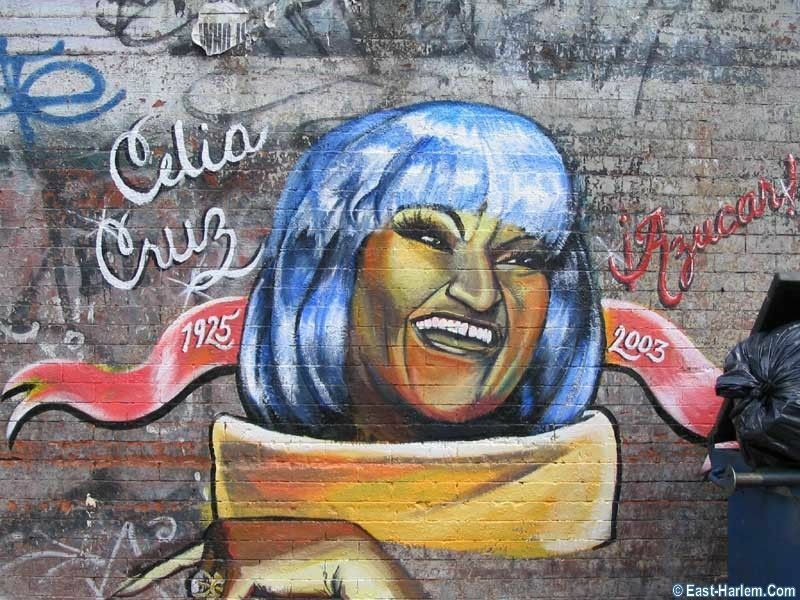 ), Celia Cruz put salsa on the map and changed the sound of Latino music. She died in 2003 at the age of 77, but her influence in salsa music lives on across the world. Nice! She was so natural and disarming that I often felt that she carried herself like a close relative to just about anyone that interviewed her. I’m sure that allot of other people feel the same way too. I also admire how she kept a positive spirit and didn’t appear to allow bitter memories to ruin her disposition. Loved her. Thank you Steve. I totally agree with your comments. She was very natural, down to earth, positive and never forgot her Cuban roots. Great musician, artist and person! Thanks for stopping by.